A long long time ago, I can still remember... How these gadgets make me smile. I know they are old skool but these was what I grown up with. Nintendo Game and Watch. The first portable game console in black and white which was very hot in the the early 1980s. My richer school mates will bring these game consoles and we would take turn to competing high scores. Of course those who play often will get higher scores due to conditioning and practices. Donkey Kong was my all time favorite. Today Game and Watch are almost gone. But Nintendo had released the mini classic which had the same game like the old days but it is smaller which like a key chain. You can play it with the tip of your fingers. Some of it also come with double screen! Now you can replay the classic game where ever you are. 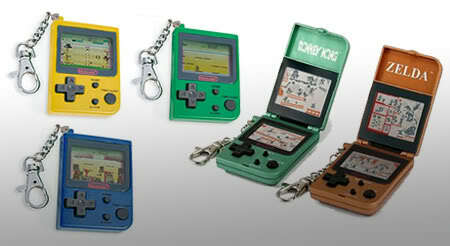 Firebox is selling these online with 3 classic such as Donkey Kong Jr, Super Mario Bros and Mario clement factory. Such classic game always had a place in our heart isn't it? I am not so good with Donkey Kong too ninjovee. I enjoy looking at the photos and your blog posts writting too. Reminds me of 'Western Bar' & the Submarine game too! These bring my memory back to the secondary school. I played Nintendo games: Donkey Kong, Submarine, Mario and a lot more..